There’s really nothing wrong with doing touristy things when you’re a tourist, is there? When it comes to Margaritaville, even those who live here can’t help but step on a pop top on their way to grab a ‘Cheeseburger in Paradise’ every now and again. If you’re not picking up what we’re putting down, clearly you’re not a Jimmy Buffett fan. That’s okay, too. 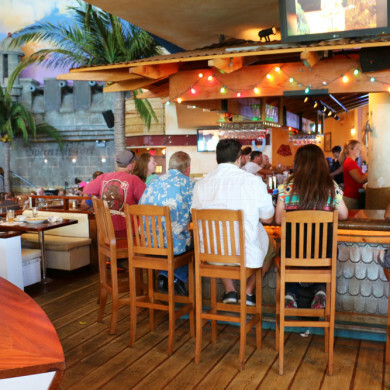 People who love good food (with or without lettuce and tomato), a whimsical atmosphere and lazy day music will be happy to dine and linger – or maybe even waste away – in Margaritaville. 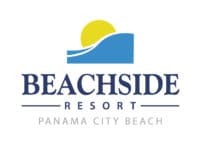 The restaurant is located at Pier Park, the only shopping, dining and entertainment complex located directly on the beach. Its two floors of Gulf front dining rooms are designed as a place to hang out and enjoy the island lifestyle, with menus boasting classic American and Gulf Coast cuisine … and bartenders pouring ice cold signature Landshark lagers and crafty cocktails. It’s like a big beach party you don’t want to miss. Sit on the outside patio for a view of the pier, and order up a margarita (there’s even a flight of four different versions) or a rummy boat drink. If you’re not in the mood for the classic cheeseburger Jimmy crooned about in his hit song, try the most popular entree on the menu, the Seafood Mac and Cheese, featuring shrimp and lump crabmeat with cavatappi pasta in Boursin cream sauce. My mouth is watering just thinking about it. Fish tacos are another beach favorite, made from Landshark beer-battered fish with avocado, cilantro lime coleslaw and key lime crema, served with black beans, Spanish rice and pico de gallo. No trip to Margaritaville is complete without a cool slice of key lime pie. The bright colors and resort decor will make you feel happy and relaxed, just as you should at the beach. You can even sit in a boat as your dining room table, and an airplane hangs from the ceiling. (Kids love this.) There are tiki lights everywhere, and the sounds of Jimmy Buffett and other groovy tunes fill the air. Margaritaville Panama City Beach is located at 16230 Front Beach Road at Pier Park. For more information, please call (850) 235-7870 or visit the Margaritaville website.